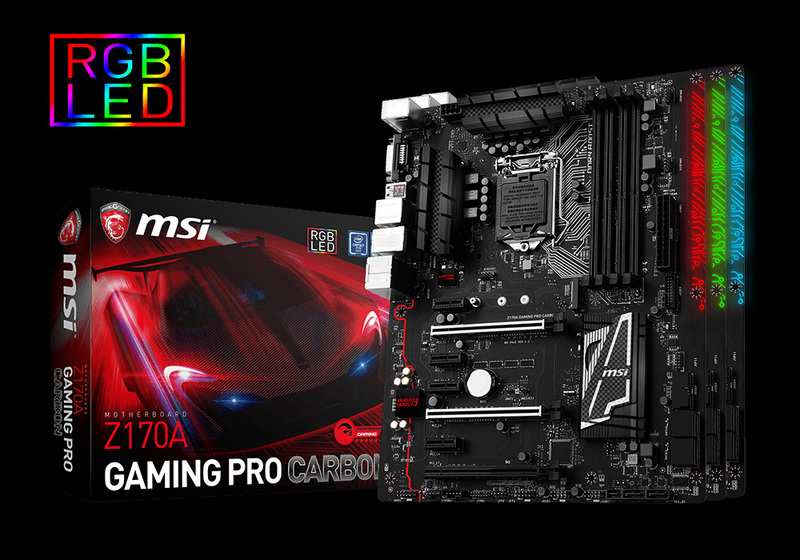 We got a tip about a motherboard that should be capable of driving seven video cards for mining, namely the MSI Z170A Gaming Pro Carbon, so we got one to give it a try. It is a Z170A Intel chipset motherboard for Socket 1151 processors (there are cheap Celerons available for it) and it uses the newer DDR4 memory. The motherboard is even packed with some fancy extras that are of no use for the purpose of mining, but they do increase the price of the product. Also do note that even if a motherboard has 7x PCI-E slots that does not mean that it will be able to work with 7 video cards connected with x1 to x16 PCI-E risers, it only means that there is a chance that it might work. Unfortunately there are actually not that much such motherboards available and the only few are usually high-end boards with a higher price tag and that is making them not so attractive for miners, especially compared to the use of the popular AsRock H81 Pro BTC motherboard for 6x GPU mining rigs. The first thing you need to do with this motherboard, prior to attaching any external video card, is to make sure it is running the latest BIOS and if not to update it to version 1.7. This motherboard BIOS is just a few months old and is apparently what allows the particular motherboard to be able to run up to 7 video cards, so make sure you have it flashed before continuing. The next step is to set some things in the motherboard BIOS. 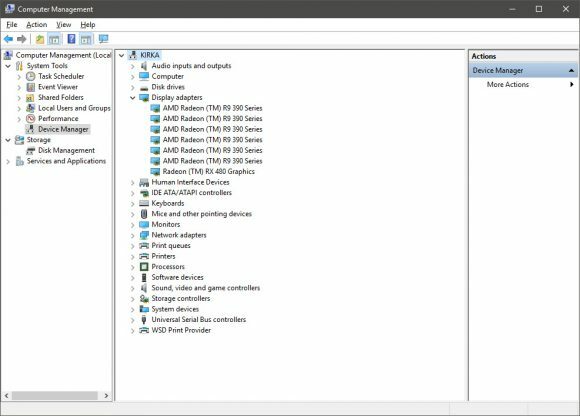 You need to go to the Settings \ Advanced \ PCI Subsystem Settings and switch the PEG0 and PEG1 Max Link Speed to Gen1 as well as set the Above 4G Decoding option to Enabled. These are pretty much the only settings you need to set in order to be able to run 7x GPUs, just make sure you set them in the BIOS before you start connecting the video cards otherwise you may experience instability of the system or it even not properly booting and allowing you to enter the BIOS. So set them first and then everything should be working fine, or almost. You can see that Windows 10 properly sees 6x R9 390 video cards and a single RX 480 GPU connected in the device manager with the video driver installed and working properly. We actually have a weird issue with this motherboard as after setting up what is needed for it to work with 7x GPUs we are not able to properly get inside the BIOS of the motherboard. If at boot we press F9 to enter the BIOS the system just freezes and needs a restart, if we don’t press the F9 BIOS key it boost into the operating system and works just fine with seven video cards mining or whatever. In order to get inside the BIOS of the motherboard however we’ve had to clear the CMOS memory and redo the settings each time. We thought that it might be a KVM issue, but even with direct PS2 and USB keyboard connection we had the strange F9 freezing issue most of the time, even though a few times it worked just fine actually loading the BIOS and not freezing the system. Anyway, while we are not entirely sure what is causing the BIOS freezing issue when you try to get inside with F9 after you set the required options to make the motherboard work with 7x GPUs everything else seems to work just fine. 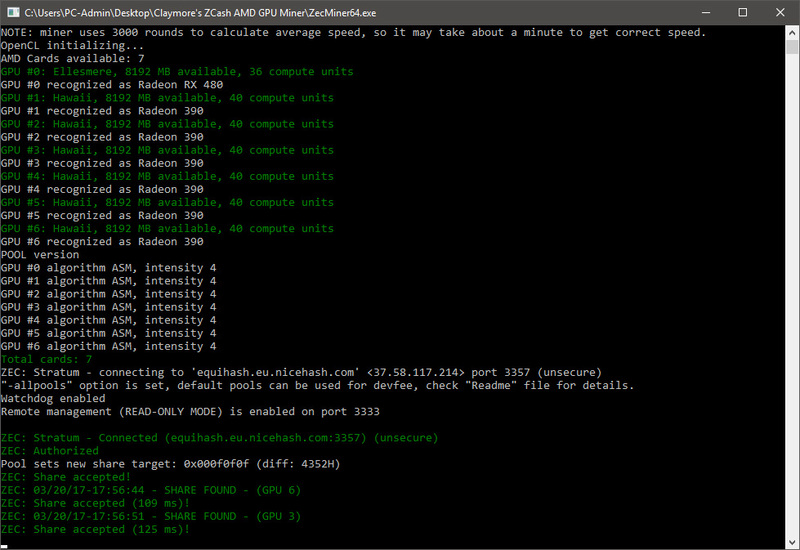 The system boots and sees all 7 video cards, even if they are different ones like in out 6+1 configuration, and you can run a miner that will see and start using all 7 video cards. 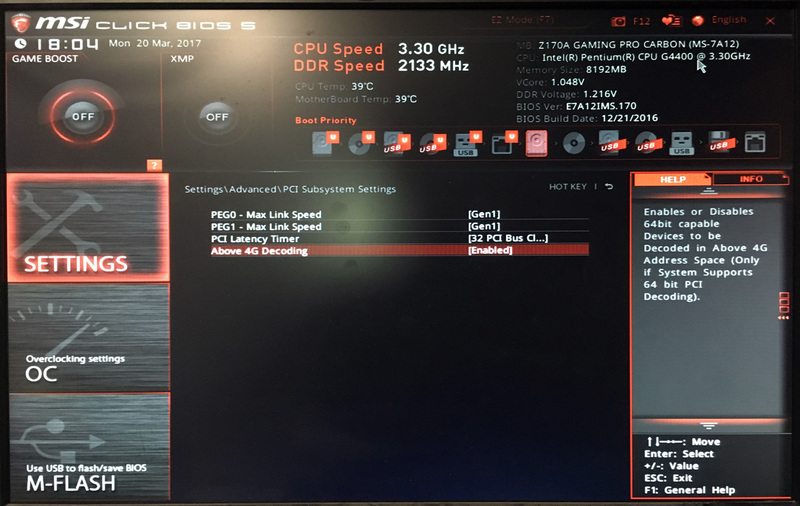 So the MSI Z170A Gaming Pro Carbon motherboard apparently works, though there are still some glitches that may need fixing. 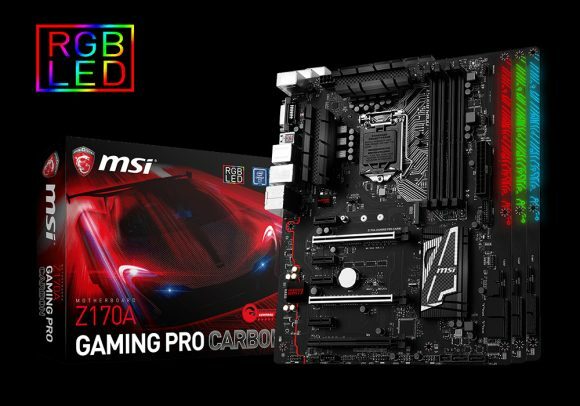 The only issue with this motherboard is the higher price and that may be enough of a reason to make you stick with the more affordable and problem free use of AsRock H81 Pro BTC for 6x GPUs instead. Still if you already have a 6x or even less GPUs on some mining rigs and you have a suitable power supply an upgrade to a 7x GPU motherboard might be an interesting choice. Then again you would need to replace not only the motherboard, but also the CPU and the RAM as well, because of the newer chipset used by the MSI motherboard.